If you listen carefully to the lone tree behind Oak Lane School, it has a story to tell, about... one owl, two spiders, three squirrels, four robins, five caterpillars, six ants, seven crickets, eight flies, nine ladybugs, and ten earthworms, all living safe and free in their tree home. What does this tree need? 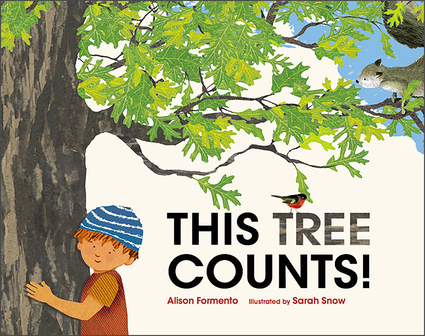 The children know-it needs friends!Alison Formento's gentle story, illustrated with Sarah Snow's beautiful papercuts, whispers important ideas to all young tree lovers. Alison Formento is a freelance journalist and the author of This Tree 1, 2, 3; These Bees Count! ; These Seas Count! ; and These Rocks Count! She lives in New Jersey with her family.